The noted producer and DJ to perform live in San Francisco. 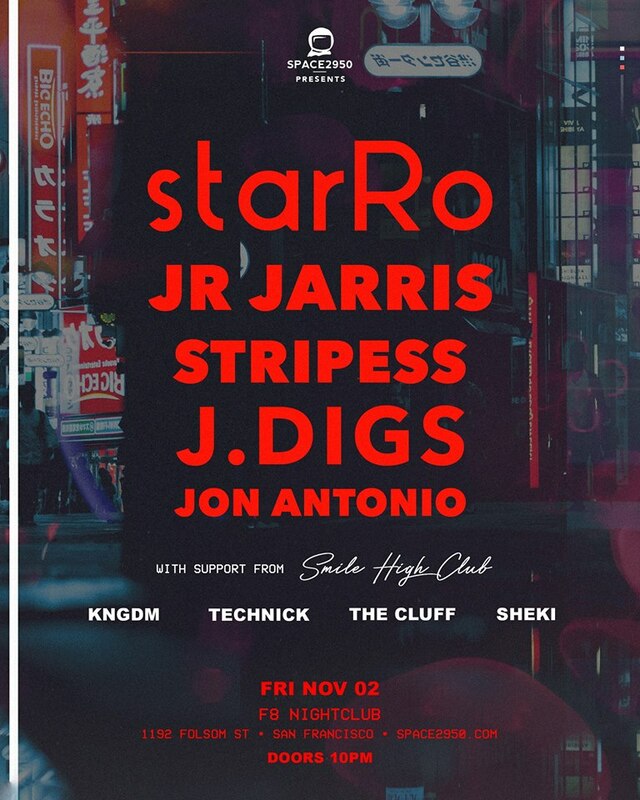 Grammy-nominated Tokyo-born producer starRo is heading to San Francisco on November 2! He will be performing live at F8 Nightclub, supported by JR JARRIS, Stripess, J.Digs, Jon Antonio and Smile High Club. For more info, visit the event’s page here.